We keep it simple here at Otto. We serve no-nonsense wood fired pizza, simple salads and a few other specialty dishes. 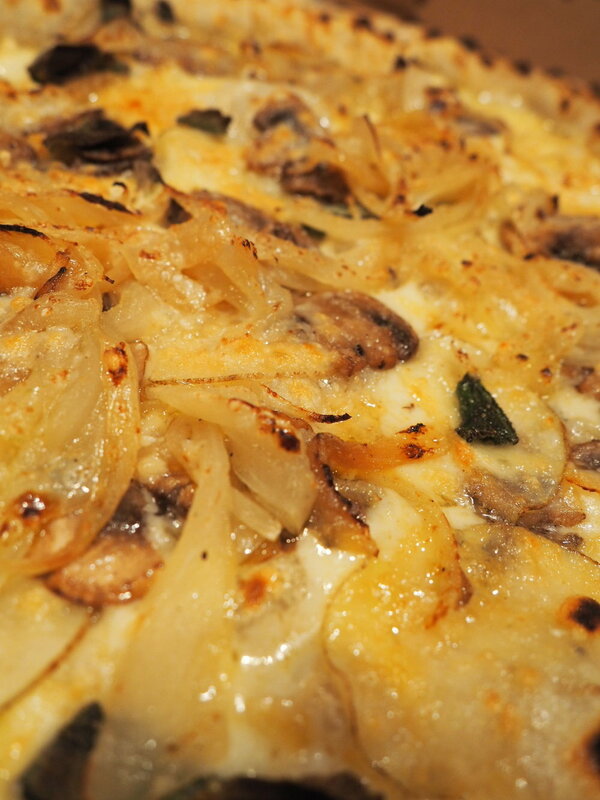 We source ingredients locally whenever possible and even have a few gluten free options available. We're open for dinner seven nights a week and for Friday-Sunday lunch, too. Tables are first come, first serve and we are eat in or take out. Come hungry, and bring your friends! Come join us any time Saturday and Sunday! We open for lunch at 11:30 and stay open all day! Saturdays are perfect for a relaxing lunch with friends and family, or for a quiet bite between activities, and Sundays are perfect for lunch after the farmer's market. Whether you're meeting with friends, out with your family, or just don't feel like cooking, lunch is the perfect time to stop by and enjoy our amazing menu without the stress of the dinner rush! Every Tuesday come and enjoy a pitcher of our favorite local craft beer at a special low price! Check back here to see our draft of the night! Join us every Thursday and enjoy half priced Thimble Island canned and bottled beer! OTTO is now Little House exclusive! Come and celebrate with us by enjoying Little House on draft 7 days a week! No reservations. Walk in only. ©2017 Otto Pizza Chester. All rights reserved.